Don't forget to join our Discord community! Join us in our annual Birthday events! Find out how to join our Easter Event here! 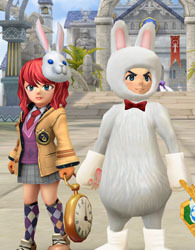 We've added new items to our Easter Event, fixed a few bugs, and much more. We've revamped Oro Clan Field, the Bags system, the Taunt skill, and much more. Pick which version of ROSE Online you want to play: Arua or Classic. With the features we've developed and the largest ROSE Online community around, both make for a great choice. Arua is our unique hybrid which pulls together the very best features of ROSE Online, with the continued expansion of our own. 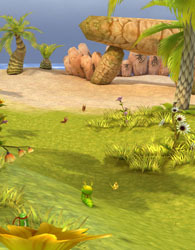 Classic is the vanilla ROSE Online, often referred to as "IROSE", which strips away much of the content and features added to the game after 2005. 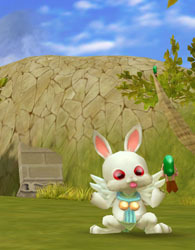 At the core, ROSE Online is a free to play 3D MMORPG. Register for free, download the game and join us in the beautiful colorful world of ROSE Online. Join our Game Arenas where you can take part in intense Player vs Player battles. Battle Royale, Capture the Fairy, Crystal Defenders, Survival Arena and more. The Market Place gives you complete access to every item being bought and sold across the world of ROSE Online. Use the powerful search tools to find the perfect item for you at the best price. You control the economy. 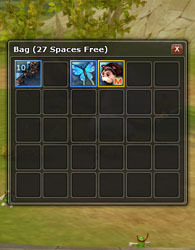 Collect the must-have items and materials, set up your shop and sell on the market for a profit.